Losing your heating can be a crisis. Heating and furnaces are most likely to give out at the peak of a Las Vegas winter when temperatures have plunged to near-freezing. And if you and your family are left in the cold, you can’t afford to wait days for a repair service to show up. You need a 24-hour Las Vegas emergency heating repair company is at your service. For 15 years, we have built a reputation as Las Vegas’s top heating repair service, with fast 24-hour emergency repairs. We can have a NATE-certified specialist at your house in a few hours, night or day. All of our work is backed with a 100% Satisfaction Guarantee. Call Ambient Edge at 702-928-7201 or fill out the form to the right and get your emergency repaired right away. 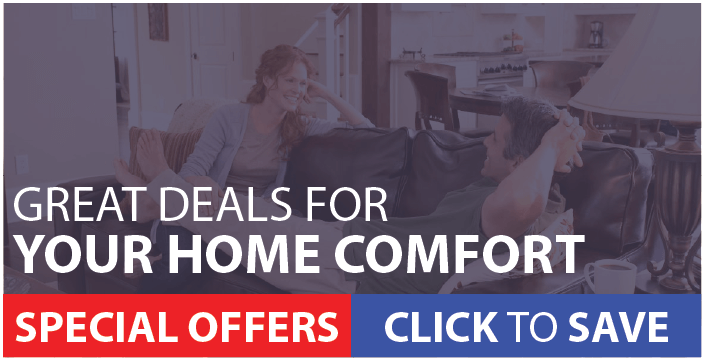 What 24-hour heating repair options do you offer in Las Vegas? 24/7 assistance line. You can always get a hold of a live person at Ambient Edge. Call us any time and you can be connected to our on-call team, who are available to answer heating questions and troubleshoot your situation. Our team will help you decide if you need an emergency repair call, and can get technical specialists to your home rapidly. 24/7 emergency heating repair. Our technical specialists show up fully equipped no matter what time it is—night, day, weekends or holidays. We are able to diagnose and fix most furnace/heating problems in a single visit. You don’t have to wait until morning. Our 5-star service guarantee. Every job we do is backed by a simple guarantee: you will receive five-star service and five-star results. We promise 100% satisfaction with every job we do, and we have the customer service awards to back it up. Our approach to 24/7 heating repairs sets us apart. Many companies claim to offer late-night repair calls, but can’t respond quickly—or leave only the least experienced staff on the night shift. At Ambient Edge, we believe in a better way. We require NATE certification, the highest standard in our industry for all of our technical specialists. Our late-night teams are seasoned professionals who receive ongoing training and care about the work they do. You get the same high standard of workmanship no matter when you need our help—and we show up fast. How do I know if my heating problem is an emergency? If you’re worried that your problem might be an emergency, it probably is. Any situation that leaves you without heat, or uncomfortably cold, needs to be resolved. This is especially true once the sun goes down and low nighttime temperatures set in. Heat won’t turn on. This is the worst problem you can have on a chilly Las Vegas winter night. It can be caused by a variety of problems, usually related to a failed component in your heating unit. We can often have you back to cozy warm heat in a relatively short service call. Heat blows only cool air. Depending on the type of unit you have, this could mean a burner is out, one or more heating elements have failed or a different problem. It could also mean there are leaks or corrosion in your ducts. We can diagnose the cause quickly and get it repaired. Strange noises or smells coming from heating ducts. This can be more serious than it seems. Even if the heat is still working, strange noises or smells mean something is wrong—especially burning smells. If left untreated, it’s only going to get worse. Of course, there are certain steps you can try on your own. If the heat won’t turn on, make sure the thermostat has fresh batteries, and then check whether the unit it still getting power. You may want to check your circuit box just in case of a tripped circuit. If you have a gas unit, check that the pilot light is lit. Always follow instructions in your heating system’s manual. And if in doubt, ask a professional. Call our assistance line any time, 24 hours a day, for free. We’ll help you diagnose your problem and decide how serious it is—and we can get a repair team to your house ASAP. How much will an emergency repair call cost? Cost is important for every homeowner. For a heating repair, the cost will always depend on how extensive the repair job itself is—some are short, easy fixes while others are more complex. That means that no professional can give you a reliable estimate unless they come out and see the problem. We give flat-price estimates. Everything that you’ll find in the final price is included in the initial estimate. There are NO hidden charges. We get your approval first. You have a right to know what you’ll likely pay before you agree to the work. Up-front pricing makes sure there are no surprises. Our estimates are accurate. Unless we find something unexpected once the work starts, the final invoice will be very close to the initial estimate. Most importantly, we back every job we do with a 100% Satisfaction Guarantee. You deserve to have true professionals working on your furnace—and to get the results you need. Heating problems tend to get worse if they aren’t addressed—and that means they get more costly. Let us get your heat fixed right away, with as little hassle as possible. Call us at 702-928-7201 or fill out the form to your right and speak with one of our service experts today.